Affirmations can be a very useful and effective way to help correct bad habits, get through tough times, overcome adversity and to develop new positive habits and ways of thinking. 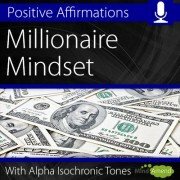 I've had a small range of affirmations products for some time now, for confidence, positivity, millionaire mindset and procrastination. 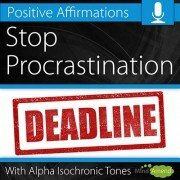 The original tracks used isochronic tones in theta, to help relax you before delivering the affirmations. Over time, through my own regular use of affirmations tracks and from getting lots of feedback from people using them, I've realised that there is a better and more useful way of delivering these types of affirmations. To get the most benefit from an affirmations track it's best to listen to them regularly, every day, over a period of time. This is because bad habits, thoughts and negative feelings usually creep up on us over time, and it usually takes time to correct and replace them with positive ones. My original affirmations tracks were 30 minutes long, but the problem is most people are very busy these days and it's hard to commit to doing something every day for 30 minutes. 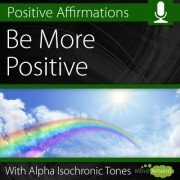 The obvious answer was to create much shorter affirmations tracks, so that they are a lot easier and more practical to use, particularly when used on a daily or regular basis. So as not to make things overly confusing, I decided to discontinue my older 30 minute affirmations tracks. So all my new affirmations tracks will now be just 10 minutes in length. 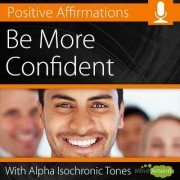 The new affirmations tracks use isochronic tones in Alpha 8.4Hz, instead of the lower Theta frequency I used previously. This is a very relaxing frequency, but much easier for your brain to entrain to and reach over this shorter period. Each affirmations product also now comes with a choice of either ‘First Person' or ‘Second Person' Affirmations. First person affirmations are spoken in terms of ‘I am‘ etc. Second person affirmations and spoken in terms of ‘You are‘ etc. If you've used affirmation recordings before, you may already have a preference to which type you prefer and there is still some debate in the community as to which version is more effective. However, if you are unsure which version to go for, I recommend the ‘Second Person' affirmations tracks, as I believe this format is most effective when you are hearing someone eles's voice (i.e. mine). For maximum effect, I recommend going for both first and second person affirmations and rotating which version you use. If you decide to go for that option I've created a nice discount for you. I've recently updated and upgraded the area of my site where I showcase my YouTube videos. I created a video section of my website some time ago, as I wanted to make it easier for people to find the relevant videos in each category. The way I had it set up and organised originally, meant that I found it hard to keep it up to date and display everything how I wanted it. I've now revamped the whole video section, making it much easier to find videos relating to a specific category and product. Each video now has it's own page, as well as an easier to use page for each category, where you'll be able to browse and find all the videos I've uploaded for each specific category. Note: The video pages are linked to in the main top menu on my website, plus you'll see a video menu in the sidebar when viewing any video page. 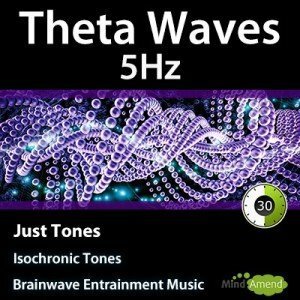 After getting numerous requests from more experienced users, I've created a new Single Brainwave Frequency entrainment tracks, which will target a specific frequency using isochronic tones without any ramps. There are differing opinions in the brainwave entrainment community as to whether using ramps is better, or if just using a single frequency is more effective and easier to reach and guide your brainwaves to. A common opinion is that ramps makes it easier for less experienced users to reach lower frequencies. This is why I have used ramps in most of my previous brainwave entrainment sessions. With most of my previous isochronic tones tracks, the session often begins at around 10Hz to 12Hz, then ramps up or down to the target brainwave frequency. This is a common brainwave entrainment technique, designed to help the user reach a target frequency. The theory with this method is that it may be easier to guide your brainwaves to a higher of lower frequency, by entraining your brainwaves to a frequency closer to your current mental state first. Then from there, the tones frequency is changed and your brainwaves follow along in step with them to your target frequency. 10-12Hz is on the border between Alpha and Beta and a common place to begin a session. Each product in this category will have a ‘Just Tones' version without any music, plus a selection of additional tracks with a choice of different soundtracks. I will be adding more products to this category as time goes on and feature products for Delta, Alpha, Beta and Gamma as well. Please let me know what you think and any feedback or recommendations you would like to share. I have released 4 new ambient soundscapes featuring brown noise combined with either an Om mantra, Tibetan singing bowls, wind chimes or crickets. 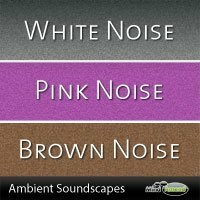 Brown noise is very soothing to listen to and it's great for blocking out external noises and distractions. Each track is 8 hours in length and can be used to help you sleep, or as calming background music for relaxation. The original 30 minute version of Study Focus has been one of my most popular products since it was released, and I've had lots of requests for a longer version. 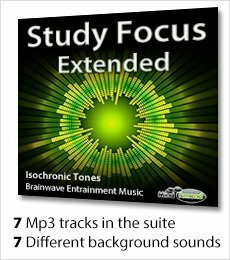 So I'm pleased to announce the release of a new extended 3 hour version of Study Focus. If you struggle to concentrate and stay focused while studying, especially when you are reading, studying or working for longer time periods, these tracks are for you. The extended version includes the usual variety of 6 soundtracks, plus a ‘just tones' version without any music. Because it was so popular in the shorter version, I've included a 3 hour version of ‘Pulsating Synth', but the other 5 soundtracks are different from the original. The extended version also contains amplitude entrainment effects in the music itself, in addition to the isochronic tones. This works by creating slight distortions in the sound, which vibrate to the same frequency of the isochronic tones. This extra layer of brainwave entrainment stimulation adds to the overall effect and helps to increase the power of the track. I've just added a new addition to my Energy and Motivation category. ‘High Energy Builder' is a 60 minute isochronic tones session, which can be used in the mornings to help wake you up, or to boost energy while running or during a gym workout session. High Energy Builder is a fair bit longer that my Gamma Energy Booster and Instant Energizer tracks, which are both 20 minutes long. So you may find it better for those longer workout sessions. If you are revising and studying for an exam, you can help boost your ability to remember and retain more information, by doing it in a more relaxed Alpha state. It can be hard to maintain a high level of concentration at times, especially when working on difficult and complex tasks like mathematics, scientific formulas, data analysis or similar mentally taxing activities. Brainwave entrainment, in particular isochronic tones, can be very useful in helping you to reach and maintain a high level of focus. I'm often asked if I have longer versions of my tracks, in particular for things like studying and sleep. Some of my tracks can simply be looped, but often the isochronic tones begin and end at different frequencies, so looping a standard session is not always ideal. The best solution is to create a session that has been specifically designed to played over a longer period, and that's what I've done with my new Cognition Enhancer Extended Version. This is currently just available with the popular Electronic background sound, which I used for the original 30 minute Cognition Enhancer video on YouTube. To give the longer version a bit more variety, it contains an extended mix of the original Electronic track. One drawback from taking a nap is that it can take a little while to recover from this short period of sleep, just like when you wake up in the morning. This is known as ‘sleep inertia'. The longer you nap for, the stronger the effects of sleep inertia become and the longer it takes for you to become fully alert again. One advantage with these isochronic tones sessions, is that the frequency increases back up to 12Hz in Beta towards to the end, which helps reduce the feeling of grogginess and sleep inertia you can experience from napping. 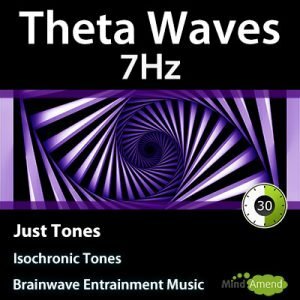 Another benefit is that the tones help to guide your brainwaves down to a very relaxed mental state, making it easier for you to fall asleep and nap when you want to. Purchased separately, each power nap product (7 mp3's) is priced at $4.95 each. If you purchase them together as a power nap discount package, you can get them both for $7.95, saving $2.00. EEG researchers have found that SMR frequencies are particilarly low in insomniacs. With regular stimulation of the SMR frequency range using isochronic tones, you can help boost your levels of SMR, and try to train your brain to produce more on its own. The SMR frequency range of 12-15Hz (low Beta) is very popular with brainwave entrainment developers, as it has a number of different uses and benefits. So I'm very pleased to announce the release of my latest product: ‘Sensorimotor Rhythm (SMR)'. SMR brainwave levels are found to be higher in athletes, dancers and other active individuals. Can help to increase focus and attention, without being too intense. Helpful for people who suffer from anxiety or depression.